The UConn Health Auxiliary's mission is to promote UConn Health with programs and services dedicated to excellence in health care, education, research and public service. Offering travel support for medical, dental, nursing, master of public health and master of dental science students. Maintaining assistance and survivorship programs for cancer patients and their families. Assisting the March of Dimes in its support of the Connecticut Children’s Medical Center NICU at UConn Health. Many other good deeds, past and present. Our fundraising projects include the Holiday Bazaar, Spring Market, plant sales, book and bake sales, raffles, and on-site vendors. Many UConn Health programs were made possible by the Auxiliary, including the Creative Child Center, UConn Health’s art collection, and UConn John Dempsey Hospital programs such as patient television rentals, the baby photo service, and the Fuzzy Bear and Memory Box projects. To support the Auxiliary with your time and talent, please consider becoming a member and a volunteer. 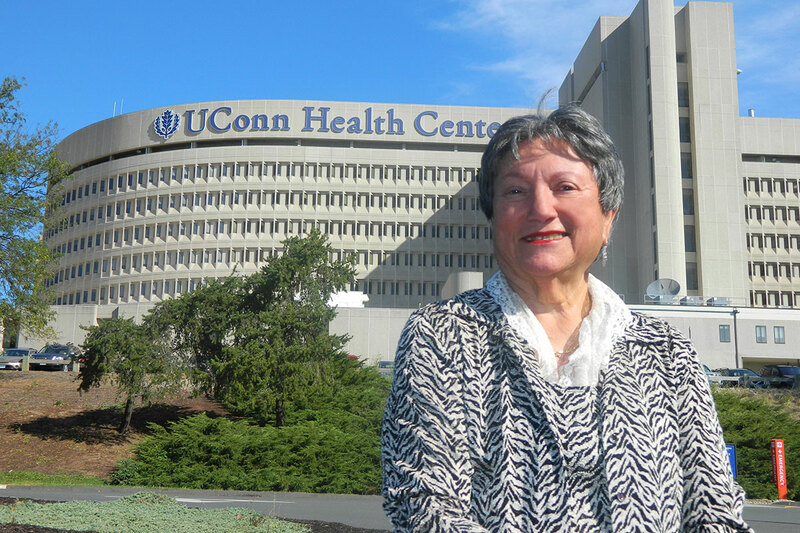 In honor of Irene's dedicated service to UConn Health, both as an employee and in retirement as facilitator of the UConn Health Auxiliary, the UConn Foundation has established the Irene Engel Fund for Professional Advancement in Nursing. This fund is to benefit UConn Health nurses who would like to enhance their professional development through channels such as academic courses and conferences. The Foundation is accepting checks (Payable to The UConn Foundation, please specify it's for Irene's fund) at 10 Talcott Notch Road, Suite 100, Farmington, CT 06032. Checks also can be dropped off at the Connucopia Gift Shop. Plus, read this Q&A with Irene as she heads into "true" retirement!